Are you pushed for time? Too busy running your business? Or maybe just can’t face investigating each lender individually to see what they will do for you? 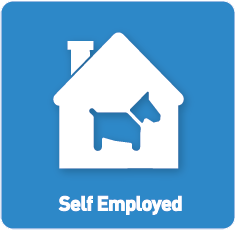 Lending criteria for the Self Employed or Company Directors is probably where it varies the most from one lender to the next. We have extensive experience of helping those running their own business and have quite often surprised clients with what is actually possible. You don’t have to explain your situation over and over as we recognise different structures of self-employment, and whether it’s net profit or salary & dividends we know the exact figures lenders look at to calculate affordability and know exactly what they want to see as evidence.